In the rapidly transforming blockchain ecosystem, new terminology is showing up quickly. Initial Coin Offering (ICO) is the first, the most-used and fast way to crowd fund a blockchain project without a middleman, at least it was in 2017-2018. With misuse rate of near 70%, ICO is blamed to present a higher risk for investors. The new trending fundraising model called Security Token Offering (STO) brings more security to investors. How is it changing the game? STO is a regulated ICO. It offers more transparency and security for an investor, but sets higher barrier to entry for both, the teams and the investors. STO can be compared to Initial Public Offering (IPO), where tokens are treated as real securities. 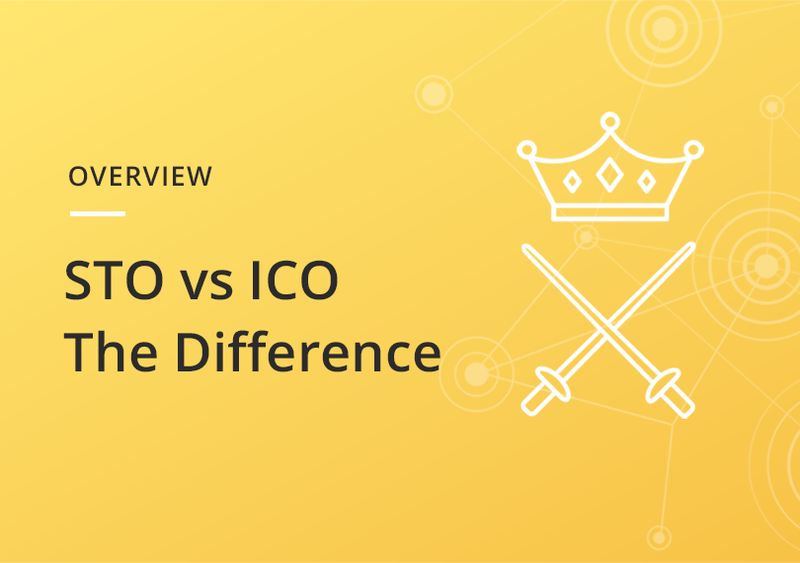 ICO and STO, what is the difference? One might think these 2 fundraising methods are different and STOs are something new and undiscovered, but it is not true. STO is just a regulated version of ICO and has it‘s own advantages and disadvantages. Before shaking things up with STO, let‘s look at token types and ICO first. During ICO a project can issue utility and security tokens. Utility tokens give their holder access to a product or a service. On the other hand, a security token, also known as asset token, represents real assets. Similar to shares, equities or bonds, they allow participation in companies and their revenue streams, allowing token holders to receive dividends. So, it is important to know that a “security token“ itself is a token backed by physical assets, and something that existed in ICOs. STOs just make security tokens legal. ICO is a powerful crowdfunding tool. A team with an idea looking for funding would start an ICO and get investments from early backers. The backers believe in the product the team declared to create and invest fiat or existing cryptocurrencies in it. In return, they get tokens specific to that ICO. Investors hope that the token would perform exceptionally well and they would get good returns on their investment in the future. The funds raised in ICO will be used by the team to build and develop their “child“. In the beginning, God created the heaven and the earth, and ICO was a dream for crypto enthusiasts and product teams. No regulations, no papers, no bureaucracy. Have an idea, a team, a website and a whitepaper and you are ready to issue tokens and raise money for your product. Young teams would not need a legal entity to start the big crowdfunding and raised millions of dollars over night without real obligations to investors. And it worked like a charm first, teams raised billions and many investors at the end hit the jackpot. Within months in the middle of 2018, the scales shifted to 20/80 and near 80% projects were “scam”, not delivering the product declared in their white papers. With growing numbers of scam-artists in the ICO universe, as well as with a strong desire of governments to control the deregulated crypto crowdfunding campaigns, regulators such as Securities and Exchange Commission (SEC) became unhappy and could not stand aside. They looked for ways to take more control over ICO market and to protect the investors, forcing the move to a regulated ICO mechanism - STO. Another reason for SEC to push forward the change was the fact, that some companies issued security tokens and promised to pay dividends to investors, depending on the share the latter own. The idea sounded good, but now tokens looked just like securities in the existing investment world. The regulating agencies took action, they deemed that these token offerings are real securities and thus should be regulated. The early bird and the first case was a company named Munchee. SEC ordered to stop the token sale and to close their operations. That case changed the game. More teams planning to sell security tokens started to seek legal advice to meet the legal requirements. This initiated the move to the STO model. STO introduces more security for an investor, but it also sets a higher barrier to entry for both parties, investors and companies. Finally, we are coming to advantages of a STO compared to ICO. Real business. Legal entity is a must. Transparency. Founders, business plan, etc. checked by regulators. Additional security for investor. All STOs go through SEC registration, a process similar to IPO. Increases trust to a project and the team behind. Higher barriers to enter for companies. Company has to pass regulator‘s registration which is connected to additional legal expertise and expenses. Lack of crypto exchanges to trade STO tokens, plus - exchanges will be regulated too. Is it the end of utility tokens and ICO? Absolutely not, we can expect a new turn - dual token structure, with utility token used to interact with a product or service and security token used as an investment instrument. ICO or STO, who wins? STO is an attempt to fix ICO issues. It offers more transparency and security for investors. Teams that choose STO as their preferred crowdfunding model gain more trust. At the same time, it adds regulatory burden to the crypto environment, which was always trying to avoid the middleman. In the current situation ICO concept gives us an impression of being “spoiled“ by bad players. STOs, offering physical assets instead of promises and thin air, are catching attention of investors and will bring new drive to the blockchain landscape . As to utility tokens, the crypto market is evolving like a living organism. This means we may witness the symbiosis of utility and security tokens as well as of ICO and STO.